He has helped numerous patients in his 14 years of experience as a Dentist. He has done BDS . 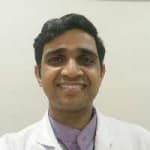 Book an appointment online with Dr. Shyju Neyyan on Lybrate.com. Lybrate.com has a number of highly qualified Dentists in India. You will find Dentists with more than 44 years of experience on Lybrate.com. You can find Dentists online in Vasai East and from across India. View the profile of medical specialists and their reviews from other patients to make an informed decision. My upper and lower front teeth overlap excessively. Space available for upper and lower teeth is not sufficient. What does it mean? And how to fix it. Hi, from what you have mentioned above, it seems that you have got overbite problem in which the upper teeth totally covers the lower teeth when you bite and it can be corrected by orthodontic treatment. Its advisable to consult your dentist and get the best suited treatment planned out. My teeth color is not white. It's like yellow. How can I reduce this yellow patch frm my teeth. Hi, the yellow color of your teeth might be because of stains which can be superficial and deep or even it might be the natural hue of your teeth. If the they stains are superficial they can be removed by a complete scaling procedure. Deeper stains can be removed by bleaching which can also lighten the yellow shade of your teeth to a certain extent. Every day I brushing my teeth but they did not change white colour and also smell is coming out when I talking. Hi, the yellow color of your teeth might be because of stains which can be superficial and deep or even it might be the natural hue of your teeth. If the they stains are superficial they can be removed by a complete scaling procedure. Deeper stains can be removed by bleaching which can also lighten the yellow shade of your teeth to a certain extent. Bad smell from the mouth can be caused due to various reasons like, 1) tartar deposition in the teeth 2) smoking and pan chewing 3) dry moth due to reduce secretion of saliva 4) due to ulcers in the stomach its advisable to consult your dentist and get your condition treated accordingly. If you wish you can consult with me privately for further help. I am habitual of chewing pan masala which lead to discoloration of teeth. Can you tell me how can remove those red marks from my teeth? Hi, stains caused due to pan chewing can go very deep inside the teeth. So a complete scaling procedure followed by bleaching will give you effective results. I am suffering to teeth problems. My teeth is so pallor and I have a pallor flake in side. I want bright white teeth. Please help me sir. Hi, the yellow color of your teeth might be because of stains which can be superficial and deep and the flakes you have mentioned are tartar deposited on your teeth. Both can be removed by going for a complete scaling procedure. I have my yellow teeth and I am very afraid with this please tell me how to make this white and shining. I regular brush. I am 20 years old boy, I am suffering from teeth pain, I have cavity in my tooth from last 1 year so now what can I do. Hi, from what you have mentioned above, it seems that you have got a deep cavity in your tooth which is giving you pain and discomfort. Its advisable not to make any further delay and consult your dentist as soon as possible and get the tooth treated. I have dangerous teeth problem. Getting too much pain. If I use too much pain killer will ne too much harm fuul for me. Or should I pick out my teeth. Plzz suggest. Hi, tooth ache can be caused due to deep decay or even gum related issues concerning the particular tooth. Pain killers can give you only temporary relief and not advisable to take for longer periods. Its better to consult your dentist and get the tooth treated as soon as possible. If the decay is extensive or if the tooth is damaged beyond the point of saving only then its advised to extract the particular tooth, otherwise its always better to save the tooth.